A clock ticked loudly in the hall as Gabriella Harrison stood silently in the utter darkness of the closet. It was filled with winter coats, and they scratched her face, as she pressed her thin six-year-old frame as far back as she could, deep among them. She stumbled over a pair of her mother’s winter boots, as she moved farther back into the closet. She knew that here, no one would find her. She had hidden here before, it had always been a good hiding place for her, a place they never thought to look, especially now, in the heat of a New York summer. It was stifling where she stood, her eyes wide in the darkness, waiting, barely daring to breathe, as she heard muffled footsteps approaching from the distance. The sharp clicking of her mother’s heels clattered past like an express train roaring through town, she could almost feel the air whoosh past her face with relief in the crowded closet. She let herself breathe again, just once, and then held her breath, as though even the sound of it would draw her mother’s attention. Even at six, she knew that her mother had supernatural powers. She could find her anywhere, almost as though she could detect her scent, the pull of mother to child inevitable, unavoidable, her mother’s deep, inky-brown eyes all-seeing, all-knowing. Gabriella knew that no matter where she hid, eventually her mother would find her. But she hid anyway, had to try at least, to escape her. Her mother’s heels rattled past again, pounding harder on the floor this time. Gabriella knew instinctively that the search had heightened. The closet in her own room would have been torn apart by then, also the equipment closet under the stairs, behind the kitchen, the shed outside the house, in the garden. They lived in a narrow town house on the East Side, with a small, well-kept garden. Her mother hated gardening, but a Japanese man came twice a week to cut things, mow the tiny patch of lawn, and keep it tidy. More than anything, her mother hated disorder, she hated noise, she hated dirt, she hated lies, she hated dogs, and more than all of it, Gabriella had reason to suspect, she hated children. Children told lies, her mother said, made noise, and according to her mother, were continually dirty. Gabriella was always being told to stay clean, to stay in her room, and not disturb anything. She wasn’t allowed to listen to the radio, or use colored pencils, because when she did, she always got the colors on everything. She had ruined her best dress once. That had been while her dad had been away, in a place called Korea. He had been gone for two years, and come back the year before. He still had a uniform in the back of a closet somewhere, Gabriella had seen it there once, when she was hiding. It had bright shiny buttons on it, and it was scratchy. She had never seen her father wear it. He was tall and lean, and handsome, with eyes the same color as her own, blond hair, like hers, but his was just a little darker. And when he came home from the war, she thought he looked like Prince Charming in “Cinderella.” Her mother looked like the queen in some of the storybooks Gabriella read. She was beautiful and elegant, but she was always angry. Little things bothered her a lot, like the way Gabriella ate, especially if she dropped crumbs on anything, or knocked over a glass. She had spilled juice on her mother’s dress once. She had done a lot of things over the years that she wasn’t supposed to. She remembered all of them, knew what they were, and she tried hard not to do them again, but she couldn’t help it. She didn’t want to upset anyone, didn’t want her mother to be mad at her. She didn’t mean to get dirty or drop things on the floor, or forget her hat in school. They were accidents, she always explained, her huge eyes imploring her mother for mercy. But somehow, no matter how hard she tried, the wrong things always happened. The thin high heels walked past the closet again, more slowly this time, and Gabriella knew what that meant. The search was ending. She had narrowed it down to the last of the hiding places, and it was only a matter of time before her mother found her. The child with the huge eyes thought of turning herself in, sometimes her mother told her that she wouldn’t have been punished if she had been brave enough to do that. But most of the time, she wasn’t. She had tried it once or twice, but it was always too late, by then, her mother said, if only she had confessed earlier, it would have been different. It would all have been different if Gabriella behaved properly, if she answered when she was spoken to, or didn’t when she wasn’t, if she kept her room clean, if she didn’t push her food around on her plate, and let the peas fall over the edge until they left grease spots on the table. If only Gabriella could learn to behave, speak only when spoken to, and not scuff her shoes in the garden. The list of Gabriella’s failings and transgressions was endless. She knew only too well how terrible she was, how bad she had been all her life, how much they would love her if she could only do what they told her to, and how much they couldn’t because of the constant grief she caused them. She was a bad child, she knew, a sad disappointment to both of her parents, and that pained her greatly. Knowing that was the crushing burden she had carried throughout her short existence. She would have done anything to change that, to win love and approval from them, but so far she had done nothing but fail them. Her mother made that clear to her constantly. And the price Gabriella paid for it was the constant reminder of her failings. The footsteps stopped outside the closet door this time, and for a brief moment, there was an interminable silence before the door was suddenly yanked open. Light filtered back into the bowels of the closet where Gabriella hid, and she closed her eyes as though to shield herself from it. It was the merest crack of light reaching toward her through the coats, but to Gabriella it felt like the bright sunlight of exposure. She could smell her mother’s perfume heavy in the air, and sense her closeness. The rustle of the petticoats her mother wore were like a warning sound to Gabriella, and then slowly the coats were pushed apart, creating a deep canyon leading straight into the back of the closet. And for a long, silent moment Gabriella met the eyes of her mother. There was no sound, no word, no exchange between them. Gabriella knew better than to explain, to apologize, or even to cry. Her already too-big eyes seemed to outgrow her face as she watched the inevitable rage grow in her mother’s eyes, and with a single superhuman gesture, her mother’s arm lunged toward her, grabbed her by one arm, yanked her off the ground, and pulled her forward with such speed that the air seemed to leave Gabriella’s lungs with a small whooshing sound as she landed unsteadily on her feet next to her mother. And within an instant the first blow fell, dropping her to the ground with such force it left the small child breathless. There was no whimper of pain, no sound at all, as her mother slapped her hard across the top of her head, and then pulled her to her feet again with one hand, and hit her as hard as she could across the face with the other. To Gabriella, the sound of the blow was deafening. “No, you’re not . . . you never are . . . you’re never sorry, are you? You drive me crazy all the time, doing stupid things like hiding. . . . What do you expect from us . . . miserable child. . . . My God, I can’t believe what your father and I have to put up with. . . .” She flung the child away from her then, as Gabriella slid across the well-waxed floor, a few feet away from her, never far enough, as a blue suede high-heeled shoe kicked her with blinding venom in the small thin thigh that trembled. The biggest bruises were always on her legs and arms, her body, where they were unseen by others. The damage to her face always subsided in a few hours. It was as though her mother knew instinctively where to place the blows. She’d had plenty of practice at it. She’d been doing this for years. Nearly all of Gabriella’s life now. There was no remorse, no words of comfort to Gabriella lying at her feet. No effort to apologize or soothe her. She knew that if she got up too soon, it could start her mother’s fury all over, so she waited there for a long time, head bowed, cheeks drenched in silent tears, still wincing from the blows delivered by her mother. Gabriella knew that looking up at her with her tear-stained face would only make her mother angrier, so she kept her eyes focused on the floor, as though she might disappear if she lay there forever. “Get up . . . what are you waiting for?” The biting words, followed by another yank on the arm, and one last blow on the side of her head. “My God, Gabriella . . . I hate you . . . pathetic child . . . look how disgusting you are . . . you’re all dirty . . . look at your face!” Suddenly, from nowhere, two smudges had appeared mixed with tears on the angelic face. Anyone even minimally human would have been in agony seeing her, but not her mother. Eloise Harrison was a creature from another world, and anything but a mother. Abandoned by her parents as a small child, sent to live with an aunt in Minnesota, she had lived in a cold, lonely world with a maiden aunt who had rarely spoken to her, and most of the time had her carrying firewood or shoveling snow in the freezing winters. It was the Depression then, her parents had lost most of their money, and had gone to Europe to live on the little they had left. There was no room for Eloise in their world, or their hearts. They had lost their son, Eloise’s brother, to diphtheria, and neither of them had ever had great affection for their daughter. Eloise had stayed with her aunt in Minnesota until she was eighteen, and then returned to New York, to stay with cousins. She had met John Harrison at twenty, and married him two years later. She had known him as a child, he’d been a friend of her brother’s. And his parents had been more fortunate than hers had been. Their fortune had remained intact during the Depression. Well born, well bred, well educated, though without great ambition or strength of character, John had gotten a job in a bank, and met Eloise again shortly thereafter. He was instantly dazzled by her beauty. Eloise had been pretty then, and young, something of a beauty, and there was a coolness about her that drove him into a frenzy. He begged, he pleaded, he courted, he wanted desperately to marry her, and the more he pursued her, the more aloof she was. It took him almost two years to convince her to become his wife. He had wanted children almost immediately, had bought her a lovely house, and he was so proud of her he almost crowed every time he introduced her. But it took him nearly another two years to convince her to have a baby. She always said she needed more time. And although she never said it openly, having children wasn’t really what she wanted. Her own childhood had been so unpleasant, she wasn’t particularly attracted to the idea of having children. But it meant so much to John, that eventually she relented. And regretted it almost immediately after. She had a difficult pregnancy, was violently ill almost to the very end, and the delivery was a horror she knew she would never repeat and always remember. In Eloise’s mind, despite the adorable pink bundle they placed in her arms the next day, it simply wasn’t worth it. And it annoyed her right from the first to see how much attention John lavished on the baby. It was the kind of passion he had once had for her, and suddenly all he seemed to think about was Gabriella . . . was she warm enough . . . was she cold . . . had she eaten . . . had someone just changed her diaper . . . had Eloise seen how sweet she looked when she smiled. . . . He thought it was remarkable how much she looked like his mother. Just listening to him, Eloise wanted to scream every time she saw her daughter. She went back to her own activities rapidly, shopping, going to tea parties in the afternoon, and having lunch with friends. And more than ever, she wanted to go out every evening. She had absolutely no interest in the baby. She admitted to several of the women she played bridge with on Wednesday afternoons, that she found the child incredibly boring and quite repulsive. And the way she said it always amused them. She was so outspoken they thought it was funny. If anything, she was less maternal than she had ever been. But John was convinced she would come to it slowly. Some people just weren’t good with babies, he told himself, each time he saw her with Gabriella. She was still very young, she was twenty-four, and very beautiful. He was sure that when the baby started doing more interesting things, she would rapidly conquer her mother. But that day never came, not for Eloise, or for Gabriella. In fact, when Gabriella started crawling everywhere, pulling at things, standing up next to the cocktail table and throwing ashtrays on the floor, she nearly drove her mother crazy. “She’s just a baby, El . . .” he said gently, scooping Gabriella up into his arms and hugging her, and then blowing raspberries on her belly. “Stop that, that’s disgusting!” Eloise said sternly, looking at him in revulsion. Unlike John, Eloise hardly ever touched her. A nurse they had early on had figured it all out easily and shared her thoughts with the baby’s father. She said that Eloise was jealous of the baby. It sounded ridiculous to John, but in time even he began to wonder. Every time he talked to the child, or picked her up, Eloise got angry. 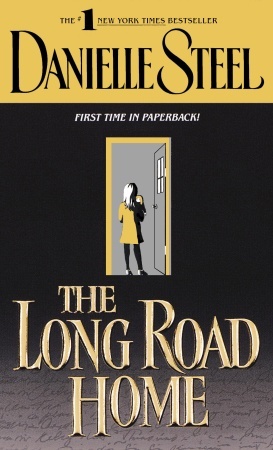 And by the time Gabriella was two years old, Eloise slapped her hands every time she reached out to touch something in their living room or their bedroom. She thought Gabriella should be confined to the nursery, and said so. “We can’t lock her up in there,” John objected when he found her in her room, whenever he came home from the office. “She destroys everything,” Eloise would answer, as usual looking angry. But she was even more so when John commented on what pretty hair Gabriella had, what lovely curls. It was the next day that Gabriella got her first haircut. Eloise took her to Best and Co. with the nurse, and when they returned, the curls had vanished. And when John expressed surprise, Eloise explained that having her hair cut was healthy for her. The rivalry began in earnest when Gabriella spoke in sentences and would run down the hall squealing to see her father. Sensing danger near at hand, she generally steered a wide berth around her mother. Eloise could barely contain herself while she watched John play with her, and when he finally began criticizing Eloise for how little time she spent with the child, a chasm began to grow between Eloise and her husband. She was sick of hearing him whine at her about the baby. She thought it was unmanly, and frankly disgusting. Gabriella’s first beating occurred when she was three, on a morning when she accidentally knocked a plate off the breakfast table and broke it. Eloise had been sitting uneasily beside her, drinking her morning coffee. And without hesitating, the instant the plate fell, she reached over and slapped her. “I sorry, Mommy. . . .” John had just entered the room and saw what was happening with disbelief, but he was so shocked, he did nothing to stop it. He was afraid to interfere, and make things worse. He had never seen Eloise so angry. Three years of anger, jealousy, and frustration were erupting from within, like a long-overdue volcano. “If you ever do that again, Gabriella, I’ll spank you!” Eloise said ominously, shaking the child by both arms until her teeth shook. “You’re a very, very naughty girl, and no one likes naughty children.” Gabriella glanced from her mother’s face suffused with rage, to her father standing in the doorway, but he said nothing. He was afraid to. And as soon as Eloise was aware of him, she scooped the child up in her arms, and took her back to her room, and left her there, without her breakfast. She gave her a sharp slap on her bottom before she left. Gabriella was lying on her bed, whimpering, when her mother left her to go back to breakfast. “You didn’t have to do that,” John said quietly when Eloise came back to the breakfast table for another cup of coffee. He could see that her hands were shaking, and she still looked angry. “If I don’t, you’ll wind up with a juvenile delinquent on your hands one day. Discipline is good for children.” His own parents had been kind to him, and he was still startled by Eloise’s reaction. But he was also well aware that their daughter made her extremely nervous. Eloise had never been quite the same since Gabriella was born, and nowadays she was always angry at him about something. His hopes for a large, happy family had long since vanished. “I don’t know what she did to upset you, but it couldn’t have been that awful,” he said calmly. “She threw a plate on the floor intentionally, and broke it. I’m not going to put up with tantrums!” Eloise said sharply. “Maybe it was an accident,” he said, trying to mollify her, and succeeding only in making the situation worse. There was nothing he could ever say to defend their daughter. Eloise simply did not want to hear it. “Disciplining Gabriella is up to me,” Eloise said through clenched teeth. “I don’t tell you how to run your office,” she said, and then left the table. Within six months, “disciplining” Gabriella became a full-time job for her mother. There was always some fresh crime she had committed that required a slap, a spanking, or a beating. Playing in the garden and getting grass stains on her knees, playing with the neighbors’ cat and getting her arm scratched, or her dress dirty, falling on the street and scraping her knees and getting blood all over her dress and socks was a particularly heinous offense that cost her her most serious beating to date, just before her fourth birthday. John knew of the beatings, and saw it happen many times, but he thought there was nothing he could do to stop Eloise, and even comforting the child afterward made it worse, and it became simpler to accept Eloise’s explanations of why she had to beat, slap, or spank her. In the end, he decided it was best to say nothing, and he tried not to think about what was happening to their daughter. He tried to tell himself that maybe Eloise was right. He didn’t know. Maybe discipline was good for children, if she said so. His parents had died in an auto accident and there was no one he could talk to, no one he would have dared tell what Eloise did to Gabriella. Gabriella was certainly a model child, she barely spoke, cleared the table carefully, folded her clothes neatly in her room, did everything she was told, and never answered back to her mother. Maybe Eloise was right. The results were certainly impressive. And when she sat at dinner with them, her eyes were huge in her face, and she remained completely silent. It was only unfortunate that her father came to mistake terror for good manners. But in Eloise’s less generous eyes, Gabriella always fell far short of perfection. There was always something more to scold her about, punish her for, or a new reason to give her a “spanking.” Eventually the spankings became longer and more frequent, the slaps seemed to punctuate every exchange between them, the shakings, the sharp blows, the resounding slaps to every part of her body. There were times when John feared that Eloise might seriously hurt Gabriella, but he kept his comments to himself about the way his wife was bringing up their daughter. To him, it appeared that discretion was the better part of valor, and he did his best to convince himself that what she was doing wasn’t wrong, and he was careful never to see the bruises. According to Eloise, the child fell constantly, and was so awkward they couldn’t let her ride a bike or learn to roller-skate. The deprivations her mother inflicted on her were clearly for her own protection, the bruises a sign that she was as clumsy as Eloise declared her. And by her sixth birthday, Gabriella’s beatings had become a habit, for all of them. John avoided them, Gabriella expected them, and Eloise clearly enjoyed them. If anyone had said as much to her, she would have been outraged. They were for the child’s own good, she claimed. They were “necessary.” They kept her from becoming more of a spoiled brat than she was, Eloise would have explained. And Gabriella herself knew how truly bad she was. If she weren’t, her mother wouldn’t have had to hit her . . . if she weren’t, her father would have stopped her mother from beating her . . . if she weren’t, they might have loved her. But she knew better than anyone how unworthy she was, how truly terrible were her crimes. She knew all of it, because her mother told her. And as she lay on the floor that summer afternoon, and her mother dragged her off the floor by one arm, and slapped her one more time before sending her to her room, she saw her father watching them from the doorway. She knew he had seen the beating and done nothing about it, just as always. His eyes looked mournful as Gabriella crept past him, and he said nothing. He didn’t reach out to comfort her, he didn’t try to touch her, he simply looked away, refusing to see the look in her eyes, unable to bear it any longer. 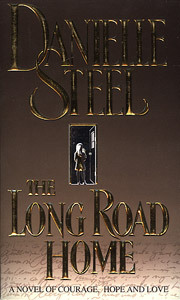 Excerpted from The Long Road Home by Danielle Steel Copyright © 1999 by Danielle Steel. Excerpted by permission of Dell, a division of Random House, Inc. All rights reserved. No part of this excerpt may be reproduced or reprinted without permission in writing from the publisher.